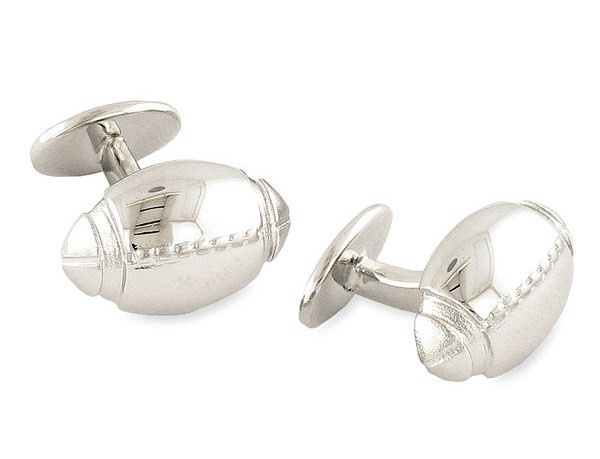 The Super Bowl is days away, but David Donahue can help give your formal look a little sports theme year-round with these football-shaped cufflinks. The sterling silver cufflinks are a subtle but distinct touch to add to your suit, keeping football on the mind even if you’re not watching the game. They’re available online now. This entry was posted in Cufflinks and tagged David Donahue. Bookmark the permalink.